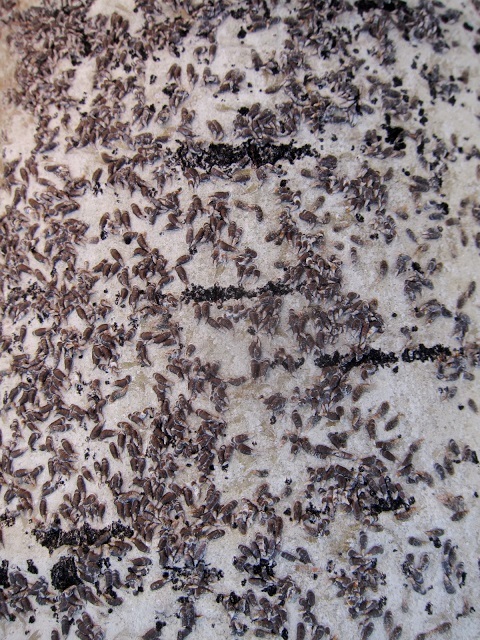 Oystershell scale is a hard-shelled immobile scale insect with a shape very similar to its namesake: oyster shells. 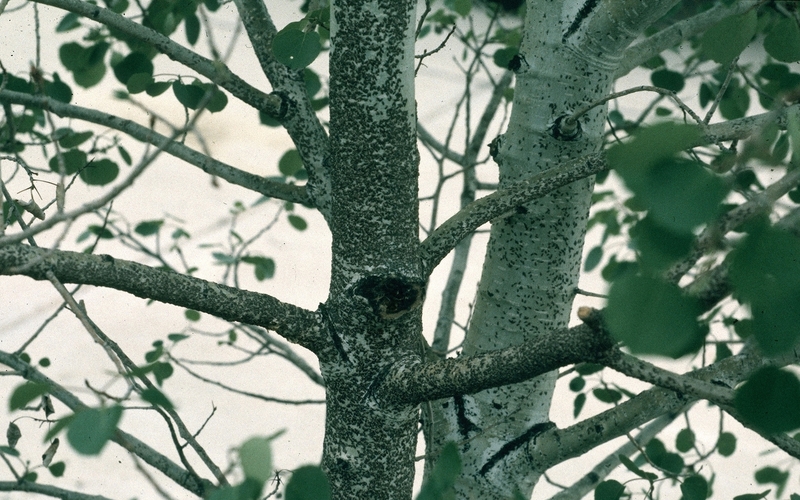 Commonly found on aspens, cottonwoods, lilacs, and other thin-barked deciduous trees, oystershell scale can severely weaken its hosts, eventually draining them completely. 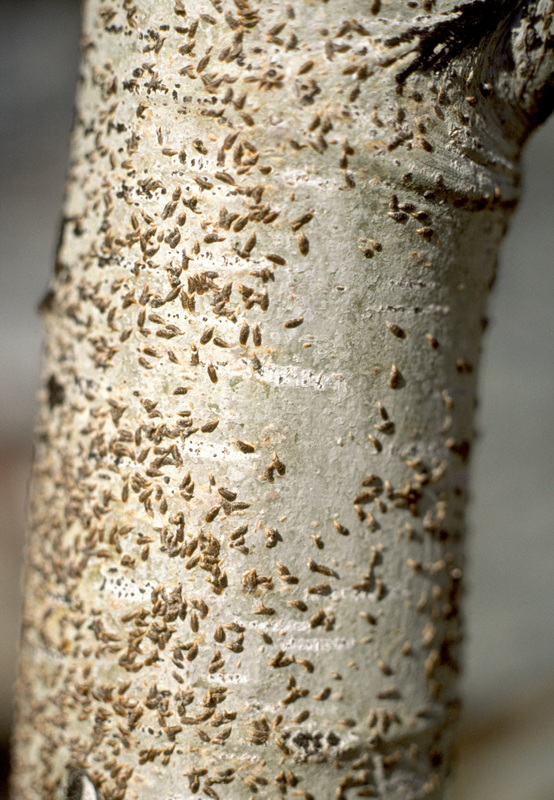 Infestations are often overlooked until branches begin dying back.